Isn't it interesting when you write a check to the IRS, if you were to put the two words "the" and "irs" together, it spells "theirs?" Yep, some of you may owe money this year instead of receiving a refund. In a way that's good. Wait... what??? Yes, if you're receiving a refund that means the government has been using your money interest free. If you owe them money, and you haven't sent in the minimum amount (which you calculate on your return,) they'll charge you interest. Doesn't seem fair. So, shouldn't they pay you interest for the use of your money? Other than the fact it's forced savings, and you get this money in the spring that is like a windfall, and you go and spend it at Starbucks...if it hasn't already been spoken for. For every month your return is late, and any partial month, the IRS will charge you 5% of the amount you owe. So, get your return done. 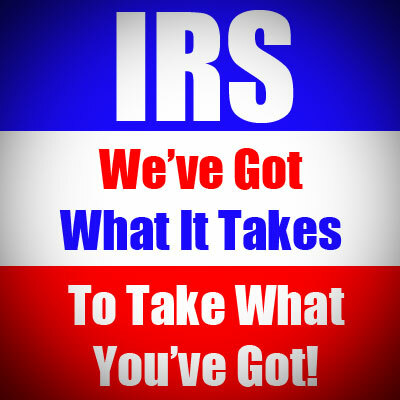 Even if you owe money and don't have any to send in, GET IT DONE AND FILED! If you don't send the money in when it's due, you'll owe interest on the shortfall, which is equivalent to the federal short-term rate, plus three percent. Currently, for February, the short-term rate is .5%, so the interest charge would be 3.5%. This changes every three months and will depend on what the rate is in April, 2011. I know it is a real surprise when you thought you were going to get money back, and instead, you owe it. Just make sure to file your return. Then deal with paying it, but figure it out sooner than later. We'll talk about the payment options in tormorrow's post. Have you started gathering information for your return?